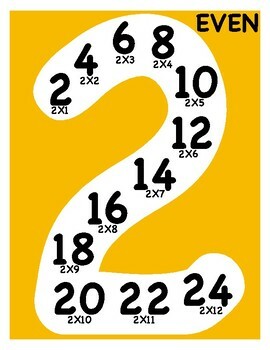 This product contains multiples of numbers 1 - 12. 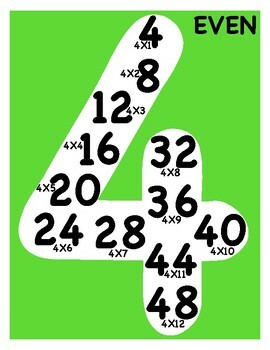 Each number contains the multiplication fact. Each poster has odd or even. Print, laminate and display in your classroom.